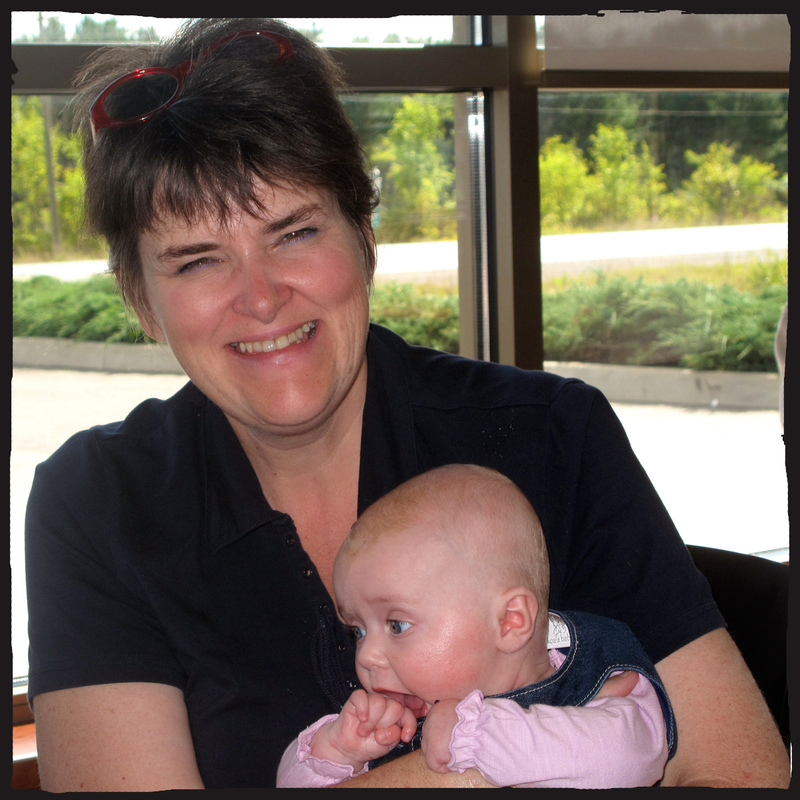 If you scroll a bit further down my blog, you will find an interview Cindi Brumpton has done on me when I became a Rowan Ambassador. In fact, she has interviewed everyone who got chosen over the last few months! She did an amazing job, so it’s only fair her readers get to find out a bit more about her as well! All RAs collected questions to ask Cindi, and here is the final interview.. may I present, the lovely Cindi! Cindi is a busy woman, she is always knitting, reading, taking pictures and of course blogging! I have heard rumours that she has an office day job working for various financial advisors, but I refuse to believe she has time for such mundane things as work when her life is so fabulously busy with other interesting projects. She has extensive family that she likes to spend time with and is very passionate about history (both in terms of world and crafts history). With all these time-intense hobbies, it made me wonder what a Day in the Life of Cindi would be like and how would spend her free time. Other than knitting, of course (that one’s a no-brainer). Cindi says: I don’t really have a typical day. I always knit in the morning while drinking my coffee and I get up in order to have at least 1 hour but really prefer 2 hours. And then it depends what day it is, what office I go to, who I work for, how long I am there, whether or not it’s a library day or I have an evening meeting. I belong to 3 knitting groups. One is every Wednesday and it’s called a craft ‘n chat night and its with school friends. That one I attend faithfully (it’s usually at my place). I belong to the local knitting guild and another local knitting group that meets at the public library. But I am sporadic in attending those two just because I am normally tired at night or the weather is bad, etc. There’s always reading every day and I am always reading 4 – 5 books at a time on different subjects. I try to walk everywhere … it’s 55 minutes one way to work! I love that. I am passionate about modern dance (watching it that is), cooking and live music (blues, jazz, country, classical). I also love travelling and mini road trips. Getting into a car and exploring and being home to sleep in your bed that night. It involves a meal out and time spent with people you care about. At this time of my life I am interested in building a hand-made life. I want the blankets and quilts on my bed to be made by me. I want to cook with produce I froze from the summer before or canned. I want to cook from scratch. I want to live in a world where what I have is what I’ve made. 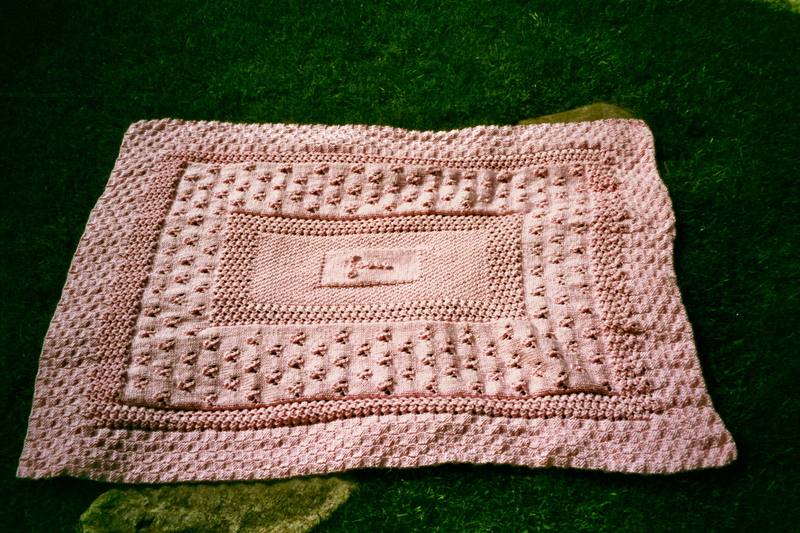 ‘Passages’, Afghan designed and made by Cindi for the birth of her niece’s daughter. Your site is called Purl Peterborough, and you use it as a platform to write about the things you are passionate about. You have a lovely writing style, and are a very active blogger. You never participated in a writing class, but have instead practiced writing and perfecting your style throughout your whole life. I would like to know what it was that made you start your blog Purl1, where you find your inspiration and what the difference between Purl1 and Purl Peterborough is. The blog was a fluke. Three years ago I left a career in financial compliance and Toronto and moved back to my hometown. Originally I intended to teach knitting classes but of course with YouTube, etc. that is harder to do. But I was affiliated with a local craft store and one of the co-owners really wanted to have more activity on their website and so they asked me to do a knitting blog, which they linked to. I agreed and started it on Oct 30, 2010 but I have to admit that my interest in blogging was really nil for a year. I don’t know what changed. Maybe it was just a stronger surety in my writing voice. I do not participate in any creative writing courses. The truth is I love research and the best way for me to understand what I am reading is to write it down. I can’t say that I enjoy writing, but it is something that I do. 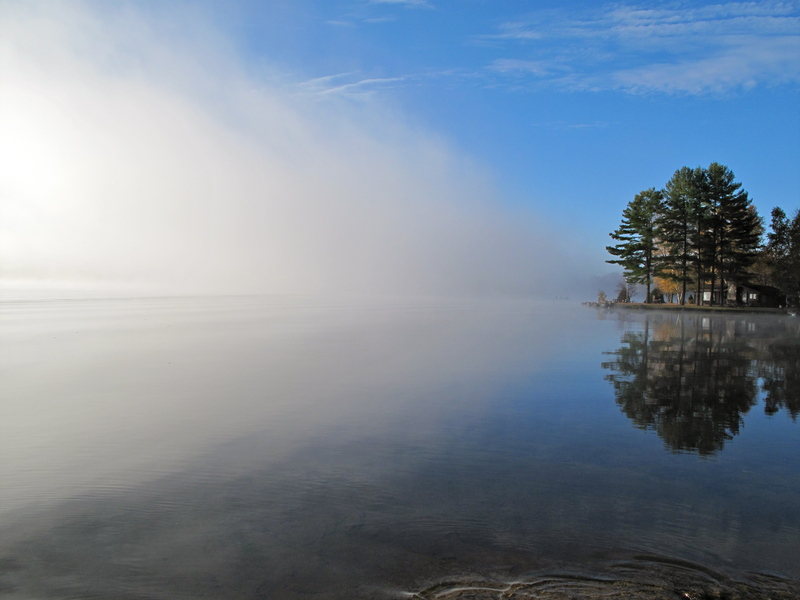 I love how a blog allows you to write, research, and be visual through photography. There is a freedom to a blog in that you are not writing for someone who is paying you, so you can express and focus where you will. I do not have a set time I write my blog. It depends on the day. When I say I have found my voice, I mean that I can sit down and say, this is who I am, this is what I have to offer, this is what I know today. I may know more tomorrow, but this is what I have to offer today. And I am completely fine with that. Perhaps it’s the benefit of aging. You do let some things go, for instance the thought that perfection is possible, attainable, or desirable. My hometown is Peterborough, Ontario. This general area is incredibly rich with craftspeople, musicians, etc. When I came home to live three years ago, I wanted to start a personal project discovering the history of the craft of knitting in this area. Originally I intended to do this via volunteering at the local museum and archives, but the limitation there is that I would probably be assigned to a front desk or store and have no opportunity to do any research with my volunteer time. So PP was the perfect vehicle to allow me to explore the history of craft. Purl Peterborough is not a blog, it is an e-newsletter and I own the domain name so it is hosted on a website. It’s mine, I founded it, and while others occasionally contribute articles to it, I am the editor and main writer. The first issue was released June 2011, so PP just had its 2nd birthday. I normally have 3 issues planned in advance. So far I have published 9 times. The next issue will be published in November 2013. Knitting still seems to be one of those crafts that are handed down in families. 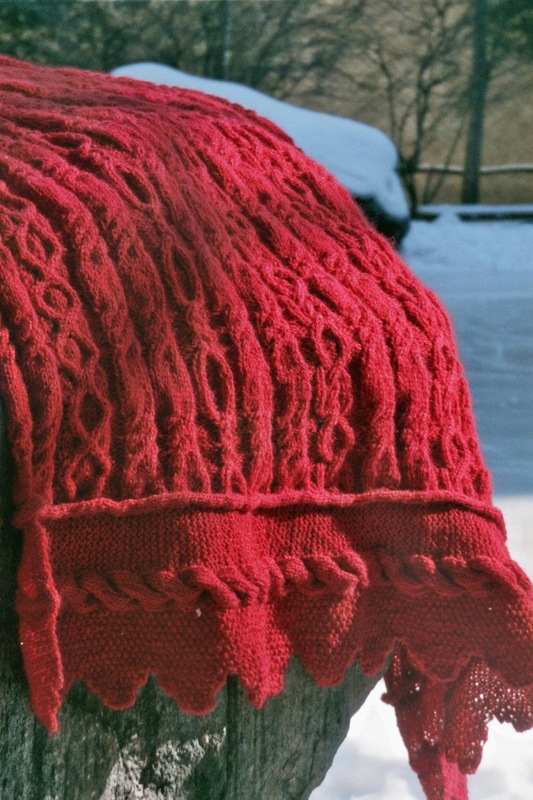 Sometimes it skips a generation, but most knitters will readily tell you how their mother or grandmother (or in some cases, male members of the family), or another relative taught them the basics, and think fondly back to their first attempts of making something wearable. How did you learn to knit/become interested in knitting? If you were stranded on a desert island and could only take one yarn with you what would it be? My grandmother, Kathleen Condon, taught me to knit when I was 7. Her stitches were simple and so I was taught to knit and purl. I taught myself cables when I was 11 and let me tell you, a love story was born! For years, I would seek out the toughest cable combinations and make them. The thing I love about knitting is that there is endless growth involved. 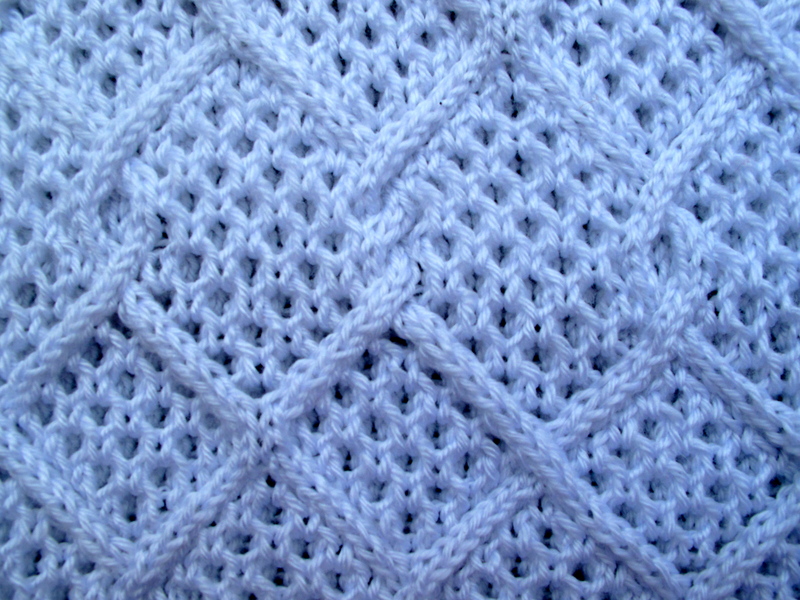 A few years ago I started designing too and that has added a whole new element to my knitting. One of the greatest gifts I have been given in life is a love of handwork and my Grandmother gifted that to me. She was a farmer and mother of 10 children. She needed to keep them warm and money was not always plentiful. My Grandmother was born in 1906. At that time knitting and handwork were domestic duties and responsibilities for women. If they could have found a store that had mitts, in all likelihood they could not have afforded them. So having to knit was an economic reality. Still, there were also women who had a love of handwork and my grandmother was one. Today, it costs so much more to knit a garment than to purchase a cardigan in a store, so we have done a 180 degree turn in that regard and my Grandmother saw that in her lifetime. Similarly, today we have people who pursue knitting as a hobby and those who pursue it because of a love for handwork and see it as a skill. The one yarn I would take to a lonely island is Rowan Felted Tweed. I love it. I would take it to the hottest island in the world … Now I might just look at it on a rock or I might have to wear while IN the ocean, but I’d take it! While you have been very passionate about intricate cables from a young age and love a challenge, other techniques took you a while to embrace fully. What would be your greatest challenge in knitting and why have you avoided it until now? That’s easy – intarsia. I tried it first when I was 14 and the tangled skeins drove me insane! Fast forward 38 years and I am currently doing an intarsia project – Laurel Scarf – and now know that I can wrap what I need around a needle and go from there. No bobbins for me! That is almost as much as a dirty word as swatch. I am enjoying this project largely because I think it is gorgeous and so I believe that there are more intarsia projects in my future! Having a large, close-knit family, there is always somebody in need of a hat or a jumper. Who do you like to knit for? I love designing baby blankets for children and afghans based on history. I am a complete history nut and love to take an idea and research it. My favourite knitted project is Welsh Glory, an Afghan based on my love of Welsh medieval history (read all about the story behin this design here). We met through the Rowan Ambassador project. How did you learn about the competition? What was your reaction when you learned you were chosen, and what do you like best about the role so far? I received an email about the ambassador program from Rowan. I knew immediately that I would apply but I did not apply immediately (I think I applied in the last two weeks). When I really want something, I don’t talk about it because it’s almost like a superstition where I think I will jinx it. The big deal for me was making the short list. First, I knew that Rowan had been inundated with applications (because they told us so) and as a result, it was taking them a lot longer to announce a short list than they originally predicted. I opened the email at work and just could not believe it. I ran downstairs and told two of my co-workers – first I had to explain it since I never spoke about it – and they hugged me and we jumped up and down and I was just so very, very happy. So then I got on my blog and shouted it to the world. So much about worrying about jinxing it! I think I floated on a cloud for a week at least. When I received the final email, it was on a Sunday around 6pm. I just sat there and read it, and read it again and again and slowly took it in. I very softly told my Mom that I had got it and she ran around phoning everyone we knew. In some ways I still cannot believe it. I think Rowan is a fantastic brand and largely that is because of the quality of their products. No one does magazines and brochures like they do. No one. Honestly, I would be happy with the photography alone, but then the designs, the yarns. When I was explaining to people why this was such a big deal, I used the example of Rowan as a brand being like Apple in terms of excellence, and they understood, so I found that a very effective comparison and explanation. Admiring the brand the way I do, to think that anything I do would meet their standards or approval, literally just blows my mind. It has been 3 months and in many ways, this continues to completely overwhelm me. I never expected that I would form friendships with the other ambassadors. That was completely unthought-of and has been a tremendous life gift, really. You’ve told us you love travelling, both shorter and long trips. You came to the UK several times, once on a knitting tour. What were your highlights of the tour and what/where did you love the most? I have been to the UK a lot. I am completely besotted with Wales. I love it. I love the history that is all around you. I love how I can go to a castle ruin and imagine the people who lived there, how they lived and the fact that I am standing where they could have/probably did stand, well that just thrills me to no end! I am fascinated by the Bloomsbury Group and so visiting Rodmell House (home of Virginia Woolf) or Charleston (home of Vanessa Bell) and know that they were all there is just awesome. I like how Great Britain has not overly commercialized their history. There are some places that are difficult to get to still. I love the buzz around wool that I find there. It is so awesome and there are so many events going on. You now, it seems as though every week I am moaning and groaning and jumping up and down about a wool event there that I cannot attend. Now, I do not want to live anywhere but Canada and in my home town, but still.. In 2011 I participated in a knitting tour of Scotland and England, put on by DeNure Tours and sponsored by Euclan, both Canadian owned companies. We started in Scotland and then went to England and the overall trip I believe was 12 days including travel days. I loved going to Chatsworth, a place I have read about a lot. I loved going to the Rowan Mill and doing a daylong workshop there. I loved visiting a section of Hadrian’s Wall, again something that I had read about. I loved visiting York. My very, very favourite thing was our daylong workshop at Heriot Watts University in Scotland. To think that there is a department at a university focused on textiles and knitting, with room after room of classrooms filled with wools and knitting machinery and an array of technology that they kindly demonstrated… well, that simply takes my breath away. If I could have figured out a way to be marooned there, coming out at night to play, I would honestly still be there. Last but not least, because you always need a ‘what if’ question.. if a fairy came to your bed and allowed you instant perfection of one skill that you didn’t possess until then – what would that be? Crewel embroidery. I would so love to do that! Thank you so much for the interview Cindi, it has been a pleasure!